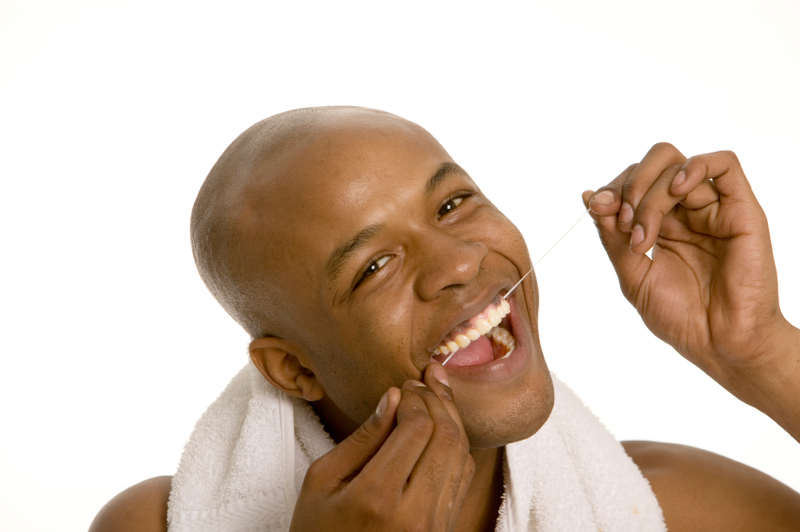 The American Dental Association advises twice daily brushing and once a day flossing. Really? Is the addition of flossing so important? Dr. Allan J. Milewski, Medina dentist, says it definitely is. 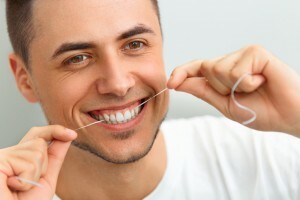 Find out why flossing is good for your teeth and for your systemic health. The health of your teeth, gums and their jawbone influences your systemic health. Problems such as decay, gum disease, tooth loss, and improper bite impact how the rest of your body performs. 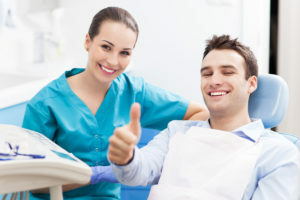 Dentist in Medina, Dr. Allan J. Milewski, relates the connection between dental health and systemic well-being and tells how you can be healthy from head to toe. As your dentist in Medina, I want your teeth to be as healthy and beautiful as possible — and I want your smile to last a lifetime. With that in mind, I think it’s a good time to get ahead on the New Years resolutions: here are the top five dental habits you should break before we ring in 2016. Here are the top eight reasons to see your favorite Medina dentist before we ring in 2016! Commitment is hard, especially when it comes to settling down with a dentist you can trust for years to come. These days it’s hard to find a dentist you feel excited about visiting, isn’t it? Either the team is too busy, or the office is too big — and you’re not ready to make your final choice. But did you know that one secret to having healthy, beautiful teeth for a lifetime is sticking with a dentist you trust? Today, learn more about Dr. Allan J. Milewski, the dentist that so many in Medina, OH already trust with their precious teeth. On October 30, 2015 our beloved Ohio State Buckeyes mascot, Brutus Buckeye, turns 50! Happy Birthday Brutus! Here is a link to a great article that chronicles the history of our beloved Brutus! Hope this makes you smile and Go Bucks! 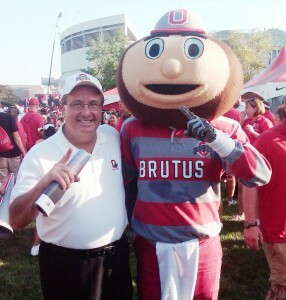 Dr Milewski and Brutus Cheer the Bucks onto victory! Comments Off on Happy Birthday Brutus! When most people hear “oral cancer,” they envision someone smoking or chewing tobacco, and call to mind cautionary photos from high school health classes depicting tumors resulting from years of tobacco use. While using tobacco products and drinking excessive amounts of alcohol do increase the risk for oral cancer, 25% of patients never engage in any of the associated high risk behaviors. The good news about oral cancer is that, in its early stages, it is a treatable disease. 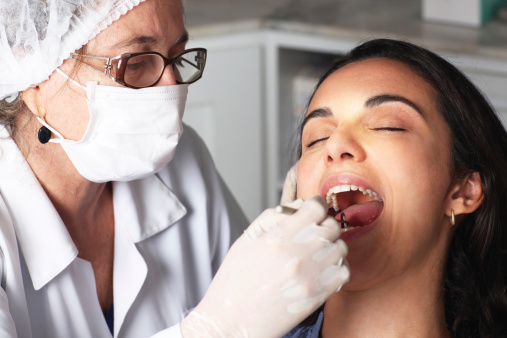 The bad news is that many patients are unable to detect oral cancer until it has progressed. In the advanced stages, oral cancer can be devastating and deadly. Call Dr. Allan J. Milewski and his Medina, OH dental team to find out more about oral cancer, and dental health screenings today. Cracked and chipped teeth mar smile aesthetics. Repair is easy and durable with dental bonding and porcelain veneers from Allan J. Milewski DDS, Medina family dentist. Wouldn’t you like to smile broadly in public again? You can by consulting Medina family dentist, Allan J. Milewski DDS,expert in covering those embarrassing cracks and chips with dental bonding and porcelain veneers. No one wants to make a bad first impression. Your smile is one of the first things people see, and whether we like it or not, our appearance says a lot about us. A healthy, beautiful smile can raise your confidence, and change the way people see you. We all make split second evaluations of people we meet based on what we can see. If a future employer could look into your mind, why would she hire you? The best way to tell an employer he should hire you is to look the part, and a healthy smile is a great first step. Call our Medina, OH dental office to schedule an appointment or find out more about how our dedicated staff can help transform your smile. Are Your Teeth Affecting Your Job? A 2013 interview with several patients of a free dental health clinic provide by the California Dental Association to those without dental health access, associated lost or damaged teeth with an inability to get a job. Patty Kennedy, one of the women interviewed was missing three teeth, and reported wanting to work for a local grocery company but being repeatedly turned down. She believes this is due in part to her smile. Kennedy said, “If you want to portray someone as being wicked, they have missing front teeth. If they’re ignorant, they have buck teeth.” These snap judgments can drastically change the way that people view you on the job. If you have missing, discolored, or damaged teeth and you struggle to get or keep a job, a visit to Medina Family Dentistry can help. Our comprehensive dental care offers a number of restorative and cosmetic dentistry treatments that will leave you with a brilliant smile that leaves a great impression when it comes to getting and keeping a great job. Dr. Allan J. Milewski and the dedicated team at Medina Family Dentistry think that all dentistry should be considered cosmetic. From fillings to dentures, restoring your smile to its naturally beautiful appearance is our top priority. When preventive dentistry measures fail, restorative dentistry seeks to return teeth to their original state, and cosmetic dentistry is intended to improve the esthetic of existing teeth. Our dental services seek to preserve and restore your bite’s natural shape and function while improving the appearance of your smile. 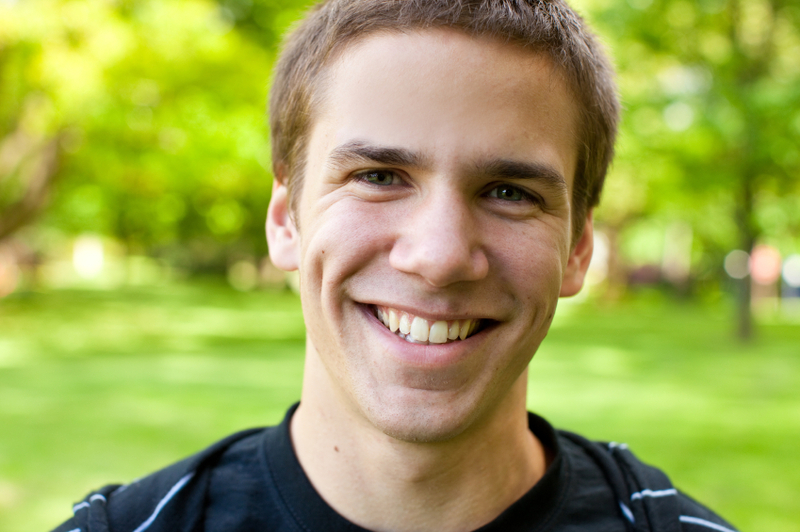 Restorative dentistry can be any number of dental treatments from fillings to root canals. Our practice strives to make your restoration as beautiful as your original tooth by going to extra mile to provide cosmetic restoration. We offer tooth colored resin fillings that blend seamlessly with the existing tooth and the stronger bond offered allows us to retain more of your natural tooth than traditional amalgam fillings. All-porcelain crowns are another way we provide esthetic restoration. Unlike metal and metal porcelain amalgam crowns, all-porcelain crowns look and feel more like natural teeth. We also provide dental implant treatment that includes all porcelain crowns to complete the restoration. 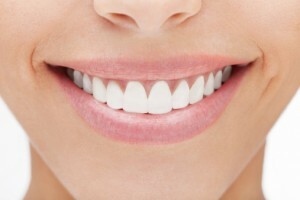 We also provide a wide-array of dental services that are more traditionally considered cosmetic. Our professional at-home teeth whitening is a convenient and effective way to immediately improve any smile. For those who have significant gaps, cracks, or missing teeth veneers, a thin layer of porcelain covering your teeth, can be a good option to transform your smile and protect your original teeth. Similarly, dental bonding uses a resin similar to our tooth colored fillings to cover, reshape, and restore dental irregularities. Recontouring your teeth changes the size or shape of your teeth, and can significantly improve your smile quickly and easily. If you’re ready to make a complete change, our custom created smile makeover might be right for you. Dr. Milewski will ensure that your bite is strong and healthy. Then, he’ll examine the current state of your teeth and create a step by step plan to give you a perfect smile. This may include any number of restorative and cosmetic treatments, but you will be able to choose the treatments, budget and time frame that work for you. When your makeover is completed, you may not even recognize your smile. If you’ve been turned down for a job or a promotion because your smile is leaving the wrong impression, it’s time to make a change. Your smile says a lot about who you are, and a picture-perfect smile is a great first step to changing the way people think of you. Our Medina, OH staff can help you today. Call to schedule an examination or consultation. We welcome guests to our office form Medina and the surrounding community including Middleburg Heights, Wadsworth, Norton, Summit County, Cuyahoga County, Wayne County and Lorain County.